Red Banyan, a leading national public relations firm announced the hiring of Rachael Payton as its newest Account Executive. Payton will work on numerous client accounts and develop strategic communications materials at the growing agency's Washington, D.C. office. We are excited to have Rachael join Red Banyan's growing team of passionate public relations professionals. 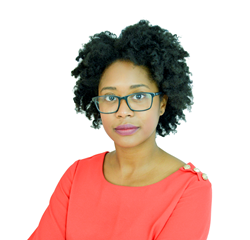 Leading strategic communications and crisis PR firm Red Banyan, today announced that it has hired Rachael Payton as an Account Executive in its Washington, D.C. office. In her new role, Payton will be responsible for developing and executing strategic public relations and communications campaigns for the agency's diverse portfolio of clients. A devoted community activist, Payton regularly supports a variety of charities and nonprofits in the Washington D.C. area to promote philanthropic initiatives for underserved communities. She actively organizes fundraisers, community service events, and other awareness campaigns. Payton earned a Bachelor of Science degree in Corporate Communications from Old Dominion University in Norfolk, Virginia. "We are excited to have Rachael join Red Banyan's growing team of passionate public relations professionals," said Evan Nierman, Red Banyan Founder and Principal. "Her broad skillset and her experience in the non-profit sphere will serve as valuable assets to the agency, as we continue to grow." Payton added: "I am thrilled and thankful to have the opportunity to join Red Banyan's team. Their work ethic and dedication are unmatched, and I am excited to advance my career and grow as a professional at the company." Red Banyan launched in 2010 and has continued to expand and establish itself as one of the nation's leading public relations firms. With offices in Florida and Washington, D.C., Red Banyan provides crisis management, litigation support, corporate branding, copywriting, media relations, and other strategic communications services to an array of national and international clients.